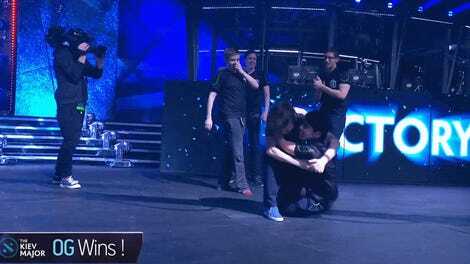 In today’s qualifier matches for Dota’s The Summit 7, Natus Vincere’s Danil “Dendi” Ishutin found himself warped away from a fight by Vega Squadron’s Disruptor. With seconds to save himself, Dendi landed a chain onto a nearby tree and took a journey through space and time. Disruptor’s “Glimpse” ability warps an enemy hero back to wherever they were four seconds earlier. But Dendi’s hero, Timbersaw, has the “Timber Chain” ability, which launches a chain that latches Timbersaw to a tree and pulls him towards it. Dendi was teleporting in from another lane, so if Disruptor lands the glimpse, Dendi will get sent well away from the fight. You can see the blue particle effect on Dendi, indicating he’s been glimpsed and only has a few seconds to respond. Timing here is critical—if Dendi chains too early, he might get teleported out after blowing the chain, but throwing it too late could mean missing the window. He needs the chain to be in-transit to a tree when he gets flung back to his lane. That disembodied chain from another dimension is the result—Dendi lands it and comes flying back in to kill Disruptor. He dies almost immediately afterwards but hey, style points. For most Dota pros, this is a fairly standard trick that can be executed on multiple heroes. But in practice, it highlights the unique interactions that Dota abilities often have with each other, and the calm-under-pressure thinking required to play at a high-level. For a new player, it can be overwhelming to remember the range of Timber Chain at different levels; for high-level players, it’s often a mechanical motion, and it’s very possible Dendi expected to be glimpsed. 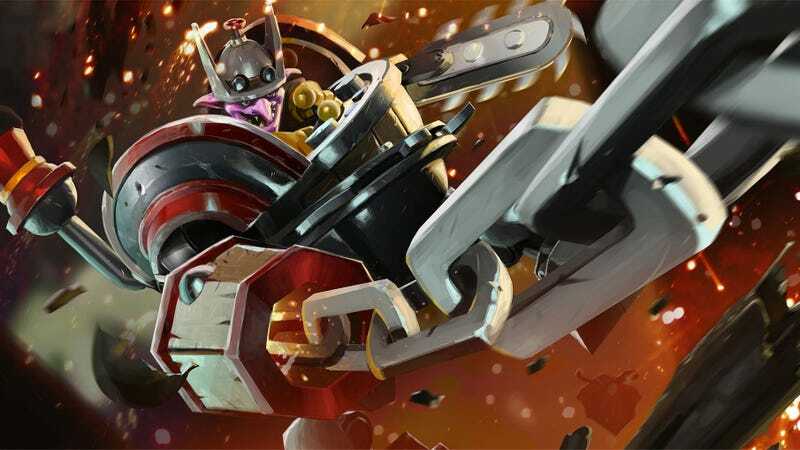 It’s the kind of play that makes Dota 2 compelling to watch, because nowhere else will you get dendrophobic goblins in mech suits travelling through space and time on a chain.